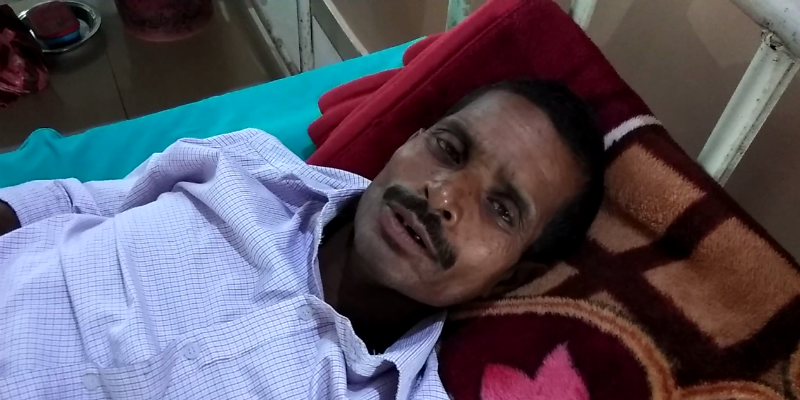 Lying on the bed of the government hospital in Jashpur, Kuldip Minj tells about his experience with the Mukhyamantri Swasthya Bima Yojana or MSBY. “I am getting the treatment and medicines free of cost. Earlier, it was always a heavy burden for me. The MSBY smart card has helped me a lot.” He is undergoing treatment at the hospital. Kuldip Minj of Jashpur is a small farmer. His earnings can barely support his family. Every time someone fell sick in the family, it used to be a nightmare. Sometimes back, such an illness would have had a heavy impact on his financial conditions. But now he is not worried about it because he is getting his treatment free of cost because of the MSBY.The Mukhyamantri Swathya Bima Yojana was introduced in Chhattisgarh in 2013 with an aim to bring all the families in the state under insurance cover. The Jashpur district administration has made significant progress in implementation of this scheme. The scheme has so far covered 2 lakh 13 thousand families in Jashpur. This is 99.33 percent of the total families in the district and because of this Jashpur now stands on top of all the districts in Chhattisgarh in implementing this scheme. Under MSBY several hospitals are registered where the patients can produce the smart card and his or her treatment and medicines will be free. It covers the entire family. With the smart card, a person can avail the benefit of the scheme in any of the empaneled hospitals in Chhattisgarh. 18 hospitals including 3 private hospitals in Jashpur are empaneled under the scheme. Jashpur being situated on the border of Chhattisgarh and Jharkhand, Ranchi is near to it. Therefore certain hospitals in Ranchi are also empaneled where people can get treatment with this smart card. When the scheme was initially introduced, many people were not interested in it because they were not aware of the benefits of the scheme. The administration had to convince the people to get registered under the scheme. “We did not realise how beneficial the smart card would be when we first took it. But now I realise how important it has been. I am undergoing treatment now and I am not paying anything. Some of the people who have not registered themselves are realising the benefits and they want the smart card now.” Says Kuldip. The smart card has secured the lives of many people like Kuldip who cannot afford quality healthcare because of financial constraints. It has become a boon for the people as it covers all the members of a particular family. With this smart card people from the economically backward sections of the society can also avail advanced healthcare in private hospitals as well. The smart card is a major step in making healthcare affordable for all. In Jashpur alone, 8-10 thousand families are taking the benfit of this smart card every year. Kuldip is glad that he had registered for the smart card. “It was a good decision though I did not understand the significance at that time.” He says.